Workout trends come and go, which keeps things interesting and prevents burnout. These days, CrossFit and SoulCycle are all the rage. But unfortunately for your wallet, with an average monthly membership of $125 for CrossFit and about $34 per class at Soul Cycle, hopping on today?s fitness trends can really cost you. But that doesn?t mean you have to dust off your Tae Bo video cassette to get your sweat on. Many of today?s workout trends are inexpensive or even free. It?s often hard to find time to get to the gym for a workout, so busy people are turning to efficient workouts that take very little time. These workouts don?t require a gym membership and can be done at home or at the office. There are many quick workout programs available online. One such program is JobuFIT, an online subscription-based program modeled after daily workouts of busy professionals in Japan. The JobuFIT workouts focus on healthy alignment and offer a convenient way to get in a workout at your office, home or hotel room in fewer than 10 minutes. Subscriptions are $65 per quarter and new workouts are posted regularly so you don?t get bored. You will also receive reminders so you don?t slack off. If you like some ?namaste? each day, fitness expert Nadia Murdock of NadiaMurdockFit.com recommended YogaWorks, which offers online workouts as short as five minutes. Subscriptions cost $15 per month with a 14-day free trial. Murdock also recommended BeachBody.com, which offers a 10-minute trainer program, among many other workout programs. Beach Body charges $9.99 per month for six months, including a 30-day money-back guarantee. ?These streaming workouts allow people to work out in a short amount of time anywhere at any time,? she said. ?Today, workouts are about being effective and time-efficient, which often means squeezing it in when you can. That?s why streaming workouts are ideal.? A popular form of the quick workout is Tabata, a high-intensity interval training workout. Tabata was created by Japanese scientist Izumi Tabata, and the most basic form involves eight rounds of 20 seconds of intense work, followed by 10 seconds of rest, according to Active.com. Each cycle lasts four minutes, and the exercises are typically squats, jumps, lunges, burpees, push-ups and the like. Some involve dumbbells, kettlebells and other equipment, while others just use your body weight. You can create your own Tabata workouts with a stopwatch. But if you need motivation or just want someone else to run the stopwatch, there are numerous free Tabata workouts on YouTube. ?The Body Project? channel on YouTube has an excellent free Tabata workout that requires no equipment. If you like to lift heavy things, try the free ?BodyFit by Amy? channel on YouTube. Fitness trainer Amy has several Tabata workouts sprinkled into her dumbbell and kettlebell programs. If you have young children, you have probably encountered a trampoline in a friend?s backyard or at birthday parties. But jumping on a trampoline isn?t just for kids ? it?s also a great workout for adults. Fitness instructor Suzanne Bowen was given one as a gift, and she loved it so much that she created a workout around it. ?Bungee-style trampoline workouts decrease impact on joints while revving up your heart rate, recruit muscles you didn?t know you had and make you feel like a happy kid again,? she said. ?I took my method, BarreAmped, to the trampoline and could not believe how much more challenging and fun it was on the dynamic surface of the mat while holding onto the sturdy handle ?barre.?? If you?re interested in a trampoline-based workout, you?ll need to budget for the workout accessories. You?ll need a bungee-style trampoline with a handle, plus light hand weights and a DVD. At JumpSport.com, trampoline prices start at $199 and handle prices start at $79. A DVD like ?BarreAmped Bounce? costs $19.99, or ?JumpSport Fitness Trampoline and Cardio Strength Workout? costs $21.65 at Amazon.com. Barre workouts have been around for a few years, but the enthusiasm doesn?t seem to be waning. Barre studios have popped up all over the country, and although you can probably find one near you, they tend to be expensive. At popular barre studio, Pure Barre, a monthly unlimited pass is $195, which is a new client special, according to GymMembershipFees.com. 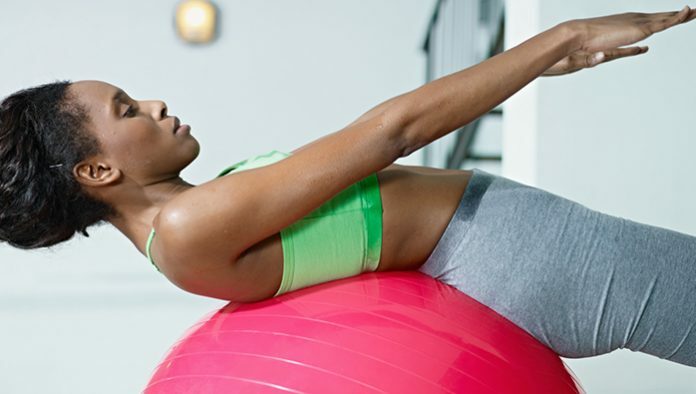 At-home workouts are the more budget-friendly way to experience barre. Rachel Speck of Speck Fitness, Inc. created the Tendu Toning workout, which is a combination of ballet and bodybuilding. This 60-minute program is $19.99 at SpeckFitness.com. ?Ballet-inspired workouts are huge right now,? said Speck. ?They are great because they usually don?t require much equipment, so they can be done at home. Misty Copeland has brought a huge awareness to the ballet community and has shown that dancers aren?t just skinny ? they are also insanely strong. Creating long, lean muscles is what all women desire, and what better way to do that than do a ballet-inspired workout?? There are also free barre programs available on YouTube. The ?Jessica Smith TV? YouTube channel has several free barre workouts of varying lengths. If you have an Alexa-enabled device at home, like the Amazon Echo or the Echo Dot, you?ve probably discovered its many free ?skills.? Maybe you use it each morning for the weather forecast or to play a genre of music that suits your mood. Now, Amazon has added several fitness-related skills. There are yoga workouts through the ?Yoga Schedule? skill, a ?Seven-Minute Workout? skill and a ?CrossFit Workout of the Day? skill, for starters. If you have questions about fitness, you can ask My Fitness Trainer. Some skills are automatically enabled, but others you have to verbally enable. Alexa, of course, will tell you how. There?s nothing like having a personal trainer to watch your form, motivate you and teach you new exercises. Unfortunately, they?re also expensive. If you?ve already exhausted the free training sessions that came with your gym membership and are hungry for more, ask your trainer if he or she would consider offering group training sessions. If you can split the fee with one, two or more friends, you?ll receive personalized attention at a fraction of the cost. ?Personal training is an excellent way to get customized workouts, especially if you suffer from an injury. However, small group training is the perfect alternative and at a reduced cost,? Murdock said. ?If you keep the group small, you are still able to get a personal touch and reap the benefits of working out in a group for a bit of extra motivation.? Consider meeting up for the group training in a friend?s basement or even in a local park. Mara Schiavocampo Charts Road to Weight Loss in New Book, ?Thinspired?